I like this guy more and more every time he puts out a new video. If I was the NRA i’d put him on the payroll immediately to talk at events. If this is your first time seeing him on the site, make sure to check out his Guide To Gun Store Salesmen, and Guide To Gun Store Customers … they are both priceless. The Youtube screen capture is the best… he looks nuts! What he said about insecurity, yeah, I’ll be saving that explanation for the next time someone says something dumb. LOL! I was writing a comment on the Cory and Erika Post and wrote down on my Iphone idea memo pad. ” A field Guide to Gun Blog Readers & Trolls”. I like his videos. Keep on posting them. The world needs more this kind of mature commentary. Colion Nior has an open invitation to go shooting with me; he’s a good dude. This man deserves many, many beers. Agreed, all of his vids are informative, crisp editing, no BS, and downright awesome. Keep it up! All of the videos have been A+: cogent discussions of gun issues/culture with some humor intermixed. There’s an acute need for more of this and less of the cokeman-esue foolishness. Keep up the good work. What you said. 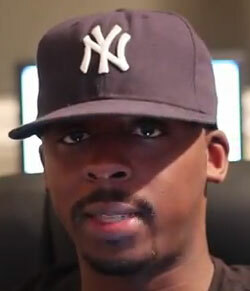 I hope to see many more of MrColionNoir’s videos.